puroBIO Cosmetics is a young brand born in 2014 that soon became one of the most beloved in the world of organic makeup. The intention is to create natural Made in Italy cosmetics without the use of substances harmful to health, the skin and the environment. 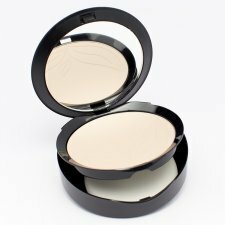 The formulations are only made with oils and vegetable waxes and mineral pigments completely excluding silicones, petrolatum, parabens, preservatives and synthetic dyes, perfume and gluten. 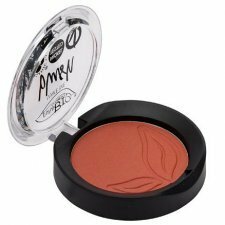 Pure BIO cosmetics are so compatible even for those with sensitive skin (except for particular intolerances and allergies). 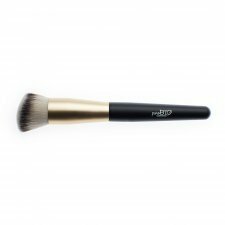 The pure makeupBIO is distinguished by innovation thanks to a "pure" and natural product that does not, however, affect high performance and professionalism. Pure BIO cosmetics are certified CCPB, NATRUE, Vegan Ok and Nickel tested. 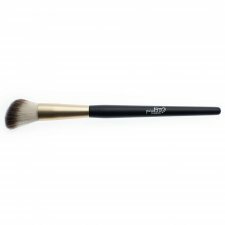 Fluid foundationfrom velvety finish and matte, high cover and quick drying. Enriched with valuable plant active ingredients such as bio salvia hydrolyzate, organic vegetable glycerin, bio-argan oil, bio-carrot butter, tocopherol and red vine extract, anti-age properties, protects the face from agents atmospheric and slows down the appearance of the signs of time. 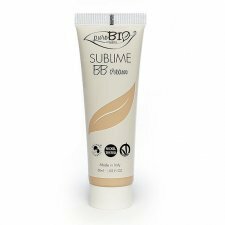 Due to the presence of cornstarch and silica, the Sublime Bio Foundation has a good absorbent effect, regulating excess sebum. Compatact foundation with modular cover that fits incarnate without weighing. 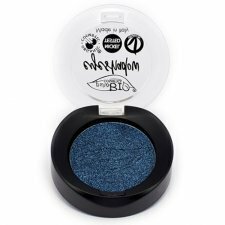 Its impalpable texture makes it perfect for normal-to-fatty skins, finish is matte thanks to mica and silica in the formula. The cover is medium / light but modular, so it is possible to stratify the product for greater coverage. BB Cream anti-blemishes from lightweight textures and medium coverage and natural and luminous effect. Enriched with valuable plant active ingredients such as sage hydrolate, apricot oil, cherry seaweed, olive oil, shea butter, tocopherol, protect the face from weather and maintain long hydration . Easy to apply. 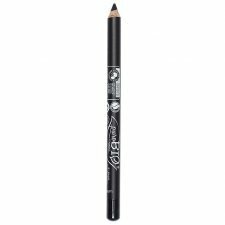 Organic Eye Pencil Intense Black. Ideal for large eyes both for the day and for the evening. 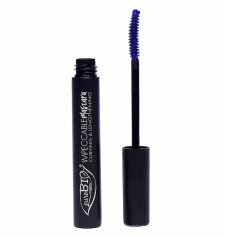 Rich in pigments, vegetable oils, vegetable waxes and Vitamin E. Suitable for those who use contact lenses and those who have sensitive eyes. 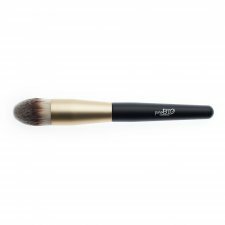 Black eyeshadow with matte finish and soft, silky and intense texture. 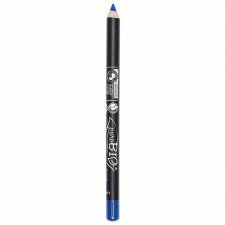 Organic Metallic Blue Eye Pencil from soft and shady mine. Rich in pigments, vegetable oils, vegetable waxes and Vitamin E. Suitable for those who use contact lenses and those who have sensitive eyes. Blush Watermelon long-lasting, silky finish. The different nuances make it possible to obtain a natural reddening in keeping with the shades of the incarnate giving a healthy and natural appearance. 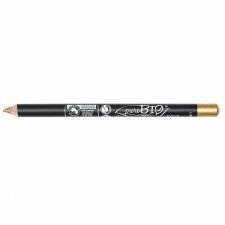 Organic Brass Eye Pencil from soft and shady mine. 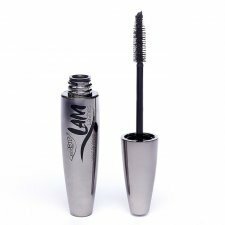 Rich in pigments, vegetable oils, vegetable waxes and Vitamin E. Suitable for those who use contact lenses and those who have sensitive eyes. Blush brown long-lasting. The different nuances make it possible to obtain a natural reddening in keeping with the shades of the incarnate giving a healthy and natural appearance. Brown eyeshadow with matte finish and soft, silky and intense texture.